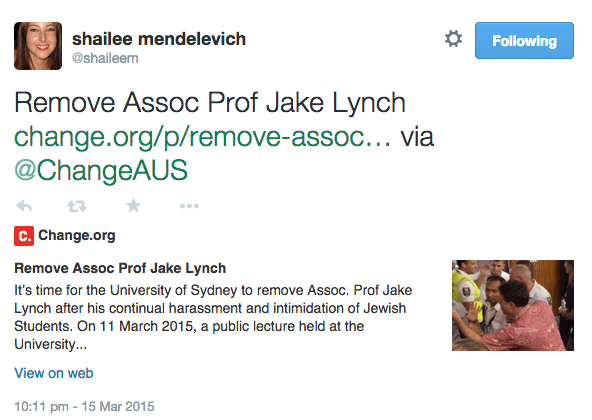 The Australian branch of an organisation that openly supports and advocates for Israel, and whose internal policies lead to the exclusion of dissenting voices, has repackaged itself as an ‘apolitical,’ pluralistic Jewish community group. With the help of the local press. Hillel is an apolitical body which provides educational, cultural and social activities for Jewish students and young adults [and the decision was] at best ill-informed and at worst racist and discriminatory. The theatre board subsequently sent a letter of apology to AJN, saying it ‘condemns racism of any kind.’ The Red Rattler is now a target of a growing online and media campaign to paint the small theatre as the headquarters of (some combination of) radical, leftist anarchist neo-Nazis. Whether one agrees with the approach taken by the theatre staff member, it is arguable that the ‘global Hillel family’ – of which Hillel Sydney is a part – is boycottable for the partnership role it plays in Israeli government hasbara efforts. Alhadeff’s plea of political neutrality is insincere: it is Hillel which implicates itself in ‘conflicts taking place far’ away – and on the side of the occupier. Hillel International practices exclusion and censorship in a bid to silence criticism of Israel’s human rights record including laws that racially discriminate against Palestinians. Hillel’s guidelines forbid chapters from hosting or organising events featuring speakers in support of BDS and those who oppose Israel’s self-declared status as a ‘Jewish and democratic state’ – a policy that has led to dissenting chapters’ dropping the Hillel name. 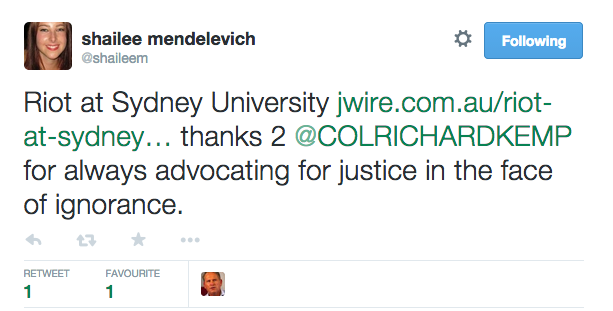 to sign a petition [tellingly, this has subsequently been removed from their website] calling on Sydney University to fire Associate Professor Jake Lynch, based on an unproven allegation of antisemitism during a verbal altercation with a woman who physically assaulted Lynch at a University lecture by retired army colonel, and Israeli war crimes apologist, Richard Kemp. Does it bug you Khaled Meshal was living it up in Doha while you were cowering w/fear in your hospital bunkers during the war? #AskHamas. In the UK, several leading Jewish organisations, like the Board of Deputies of British Jews, play the same double game. However, there is no excuse – beyond fear or laziness – for the media not interrogating them on their hardline Israel advocacy and political lobbying, which also poses a threat to the independence of arts organisations.